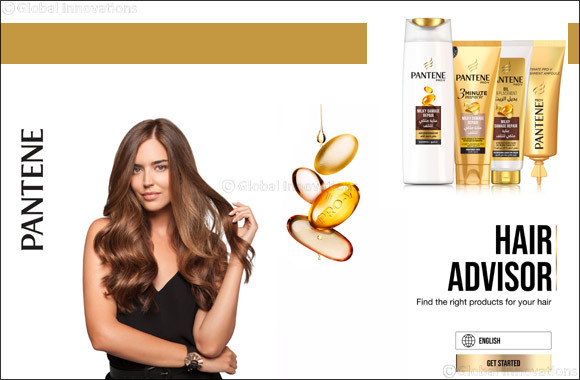 Dubai, UAE, January 28, 2019: Pantene knows the importance of making haircare the foundation of any healthy beauty regimen. The brand has introduced a Hair Advisor tool to evaluate each user’s haircare needs and build a personalized daily routine that will keep your hair strong and healthy. Recommendations for cleansing, conditioning and treatment are selected from Pantene’s vast range of products based on the input received from users about their individual requirements and hair textures. With thousands of hair products on the market today, shopping for a haircare regimen can be overwhelming. Many shoppers don’t know what products and ingredients are needed to address their unique requirements and end up purchasing the wrong products. Pantene is like hair’s daily multi-vitamin - its haircare formulations are infused with Pro-Vitamin B5, also known as Panthenol and Panthenyl Ethyl Ether that works to improve the overall health of the hair by penetrating into the hair shaft to bring back lost shine. “By collaborating with Souq.com, we hope to improve the whole shopping experience for consumers. This is just the beginning of how Pantene plans to address our users’ hair health moving forward,” said Mai AbdulMaksood, Digital Manager.